What could be done to prevent incidents like van attack? 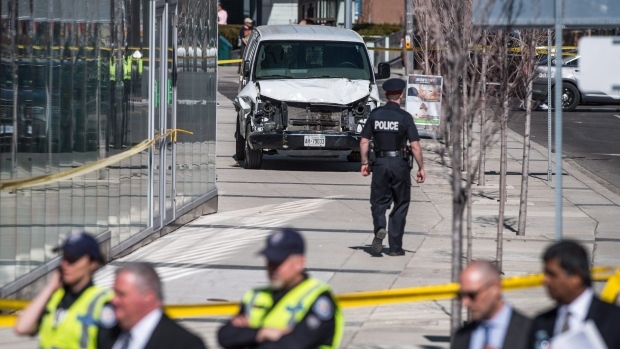 TORONTO -- The van attack that left 10 people dead in Toronto this week has raised questions about what could be done to guard against similar incidents, with experts saying some new automotive technology and urban planning measures may help mitigate risk. They caution, however, that it would be impossible to entirely prevent vehicles being used as weapons. Jez Littlewood, an assistant professor of international affairs at Carleton University, said automated emergency braking technology could help reduce collisions caused by distracted or drunk drivers but noted that it was not yet advanced enough to stop someone intent on harming others. "The technology as it currently exists cannot stop a determined driver from overriding the system," he said. Such technology is required in the European Union for certain vehicles, Littlewood said, and expanding its use could help. "If this technology is applied to all vehicles then, over time, it would mitigate the chances of having higher casualty numbers," he said. "But we have to accept that this is something in the medium-term timeframe because even if it is applied to all new vehicles, you are still going to have extensive number of older vehicles for many years." Ross McKenzie, the managing director of the University of Waterloo Centre for Automotive Research, also noted that there are limits to the current technology. "You have the issue of ice or snow conditions -- you could have a snow-covered bumper and the sensors wouldn't work at all," McKenzie said. "So the robustness and reliability still has some evolutions to go through in development, because you have to make it work in all kinds of driving conditions." He added that other issues include consumer acceptance and the time it would take for regulators to make such technology mandatory. While there isn't one solution that will prevent vehicle attacks in the future, Littlewood said cities also have a role to play in pedestrian safety. 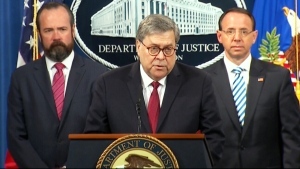 "It really comes down to not thinking about it so much within a security or counterterrorism context, but thinking about it within a public safety context," he said. "It could be bollards, barriers or obstacles that reduce the likelihood of cars mounting sidewalks by accident and DUI incidents as well." After Monday's attack that began when a van mounted a sidewalk in north Toronto, the city installed temporary concrete barriers -- or jersey barriers -- around Union Station as a precautionary measure. City spokeswoman Wynna Brown explained that work on permanent physical security measures around the major transit hub has been underway since last year and plans had already been in place to install "interim mitigation measures" this spring. "The discussion that is being had now is whether the jersey barriers will come down or remain in place until the interim mitigation measures, which are designed to fit in with the streetscape, are installed within the next month or so," she said. Claire Nelischer, a project manager for Ryerson University's City Building Institute, said there is an increased focus in Toronto on street safety, with some areas installing planters to separate vehicle traffic from cyclists and pedestrians. "People are recognizing that many of our streets are very unsafe just by nature in the way that they are designed and the way that they operate," Nelischer said. But she cautioned that imposing structures such as the concrete barriers installed in front of Union Station were not what she wanted to see. "Those big, really impenetrable, heavy, large objects, they not only create physical separation in the urban environment, but they also alert people moving around the city to this idea that it's an unsafe place to be," she said. "We really need to be looking for design solutions that allow for vibrancy and maintain the quality of life we're experiencing in the city."